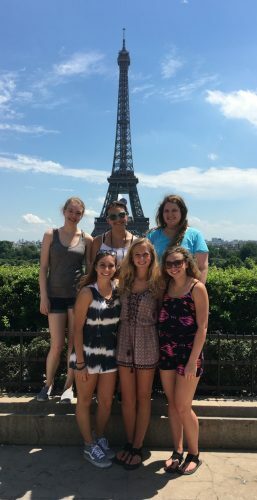 BOURBON — Members of the Triton Jr.-Sr. High School Art Club recently took a trip to Europe. 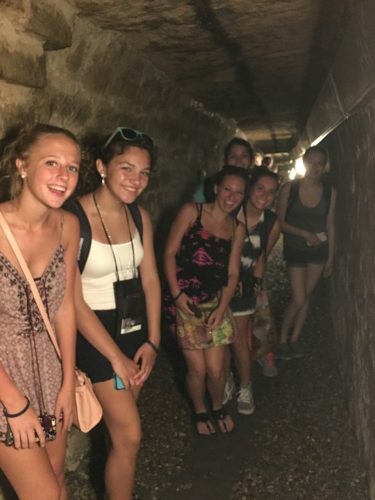 They started off in Paris, seeing the Eiffel Tower, Cathedral of Notre Dame and the catacombs. They then took a night train to Venice where they enjoyed a gondola ride. 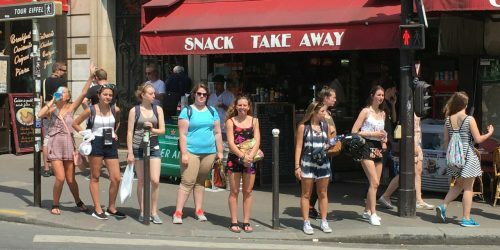 The rest of the trip was by bus to Florence, where they saw Michelangelo’s David sculpture, Pisa to see the Leaning Tower and then off to Rome to see the fountains, ruins and Vatican City. 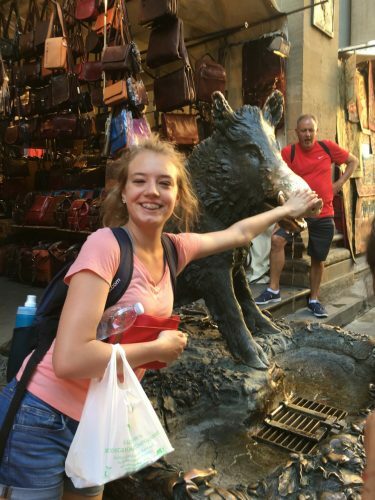 Megan Hayes at the market in Florence, rubbing the nose of the hog to ensure she will someday return to the city. 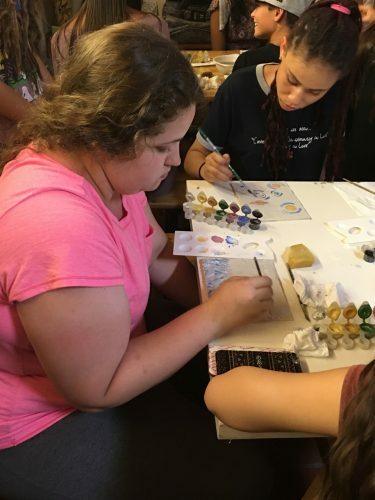 Kalli Miller-Potter completing her artwork during the fresco workshop in Florence. Front row: Kayla Kreft, Emma Ross and Quinn Downing Back Row: Megan Hayes, Jada Anglin( Plymouth High School) and Kallie Miller-Potter.